Sixteen-year-old Lisa Peng is taking on the Chinese government, in order to produce the release of her father, Peng Ming, a prominent human rights and democracy activist. Lisa, who is a student at Laurel School in Cleveland, Ohio, last saw her father in 2004. Mr. Peng was travelling to Myanmar when he was imprisoned for life, after been lured by Chinese secret police to the border of Thailand and Burma, where he was kidnapped at gunpoint and dumped in a Chinese prison. 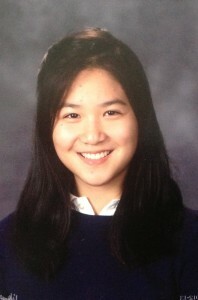 Lisa has been working with ChinaAid Association to get her father released, talked to congressmen from Washington D.C. on his behalf, and launched a club at her high-school to raise awareness about China’s human rights abuses. Lisa and her family came to the U.S. as political refugees in 2001. Her father, who protested at Tiananmen Square, was also the founder of China Development Union (CDU), a think tank that aims to encourage discussion about censored issues, such as freedom, democracy, and human rights. In 1998, he also published a book, called the “The Fourth Landmark.” In his book he argued that China should develop a model of development suited for its vast population and limited resources, rather than strive to dominate Western developed countries through unrestrained industrialization, which he believed would lead to enormous environmental disasters. In 1998, the Chinese Communist Party banned Peng’s activities and took over the CDU. For his advocate work, Peng was arrested and sentenced without trial to 18 months of reeducation at a labor camp. Upon his release, because of his continuing commitment to pursuing human rights, the family decided to flee from China. It was simply too dangerous for Lisa’s father to remain in their country of origin. After a harrowing journey of escape, during which Lisa and her family were forced to travel by boat and foot at times, they arrived in Thailand, where they received refugee status and were accepted by the United States for resettlement. Once arrived in the U.S., Lisa’s father remained actively involved in promoting human rights in China, by establishing the China Federalist Party. In the summer of 2004, he went to Thailand to create a safe haven for Chinese political refugees, fleeing persecution like himself. There, eight Chinese secret police tricked him into coming to the border of Thailand and Myanmar where they kidnapped him at gunpoint and returned him to China. In telling her father’s story, Lisa underscored the fact that his arrest violated international refugee and human rights standards, such as the principle of non-refoulement, which prevents countries from returning refugees to their country of persecution, as well as the right to a fair trial. In October 2005, Lisa’s father was condemned by a court in Wuhan, Hubei province of “forming and leading a terrorist organization,” and sentenced him to life imprisonment. In 2011, he was transferred to a new detention sentence, where he was arbitrarily denied all visitation and communication rights for six months, during which Lisa had absolutely no news from her father. Even now, Lisa is only allowed to have limited contact with her father. She is allowed to send monthly letters to her father. Lisa states that despite the harsh conditions under which he is kept, her father remains optimistic that human rights and justice will prevail. This is despite the fact that, as a result of his imprisonment, he has suffered from heart attacks, kidney stones, arthritis, without receiving any medical attention. There is no effective human rights organization allowed in China to provide any support for her father. In the U.S., Lisa has been working with ChinaAid, a human rights organization, whose role is to promote religious freedom and the rule of law in China. During Chinese President’s Xi Jinping meeting with U.S. President Barack Obama in Washington D.C., Lisa spoke about her father’s unlawful detention at the launching of the “Free China 16,” an alliance of 30 NGOs calling on President Obama to demand the Chinese leadership to release 16 representative political dissidents imprisoned in China, Lisa’s father included. Lisa has also discussed with several congressmen in Washington, in particular the chair of the Congressional Executive Commission on China, Sherrod Brown of Ohio. Senator Brown wrote letters seeking Lisa’s father release to the U.S. Ambassador to China, Gary Locke, as well as to president Obama, before his meeting with the Chinese president. Lisa is faithful that President Obama will reaffirm human rights and the fundamental principles of the United States, and take action on behalf of her father and the other families of political dissidents who are separated from their loved ones imprisoned in China. She recently wrote a narrative about her father’s story for a book published in Chinese in Taiwan, called “China-The book of Dying and Living,” compiling the stories of over eighty political dissidents. Lisa is also focusing on spreading awareness among her high-school peers about the Chinese government’s human rights abuses, which she believes is a topic that remains overshadowed by the U.S. economic priorities. With a friend, she created the ChinaAid Club at her high-school in Cleveland, which intends to invite speakers to both present the current human rights situation in China and suggest what young people can do to improve the situation there. While the nine years of separation from her father have been difficult, they have also made her stronger and taught her to appreciate living in a country, where her rights are recognized Lisa encourages other young people fighting for their loved ones in difficult conditions to remain hopeful and to remember, even in times of despair, that they are living in a country, where they are encouraged to exercise their freedom of expression and empowered to stand as ambassadors of freedom, human rights, and justice.